McLean Emenegger has been an active leader in the artistic community since 1997. McLean began her art world career in the Development Department of the Santa Monica Museum of Art (now the Institute of Contemporary Art, Los Angeles). From 1999-2004, she served as Executive Director of the visual artist nonprofit organization Gallery 825/Los Angeles Art Association (LAAA), where she presented hundreds of exhibitions and educational programs that received public and critical acclaim. McLean left the nonprofit sector in 2004 to establish her art consulting and visual artist support firm, McLean Fine Art. 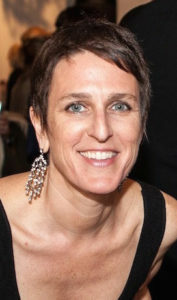 In addition to her independent consulting projects with McLean Fine Art, McLean worked in the Curatorial Department of the Armory Center for the Arts, Pasadena, CA. She was Director of Bandini Art Gallery, Culver City, CA, and curated many of its acclaimed exhibitions. From 2010 to 2016, McLean was a founding partner in Milo + McLean Art Consulting. In 2016, she reestablished her brand to launch McLean Art Projects, offering an expansion of her curatorial and educational services. McLean has worked in the art publication field as a writer and served as Managing Editor of THE Magazine L.A. and Contributing Editor for the international artist collection magazine Bluecanvas, where she wrote their popular “McLean’s Artist Advice” column. Her art reviews, features and artist interviews have been included in multiple print and online publications, including flavorpill.com. Her independent curatorial projects have been reviewed in press outlets such as the Los Angeles Times, Artweek, Artscene, Review Magazine and The Huffington Post. Her recent public art exhibition, Welcome to LA/Please Come Again, at Los Angeles World Airports at LAX was featured on KCET’s Artbound and KPPC’s Take Two. McLean maintains an active public speaking schedule and travels extensively with her Business of Art visual artist workshops. McLean has presented her classes and lectures through the Master Class Program at Annenberg Space for Photography, National Arts Marketing Project, College Art Association, Museum of Contemporary Art Los Angeles, UCLA Extension, Los Angeles County Arts Commission, Santa Monica College, Center for Cultural Innovation, California Lawyers for the Arts and Pasadena City College among many others. She joined the faculty of the National Arts Marketing Project for Americans for the Arts in 2016. McLean is a graduate of Sarah Lawrence College, Bronxville, NY. She lives and works in Los Angeles. See Ms. Emenegger’s CV here. Homepage images: Paco Pomet, courtesy Richard Heller Gallery; Sandeep Mukherjee, courtesy Chimento Contemporary; Kim Keever, courtesy the artist; Stas Orlovski, courtesy the artist; Christine Nguyen, courtesy the artist; Gegam Kacherian, courtesy the artist. Many thanks to all the artists and their galleries.